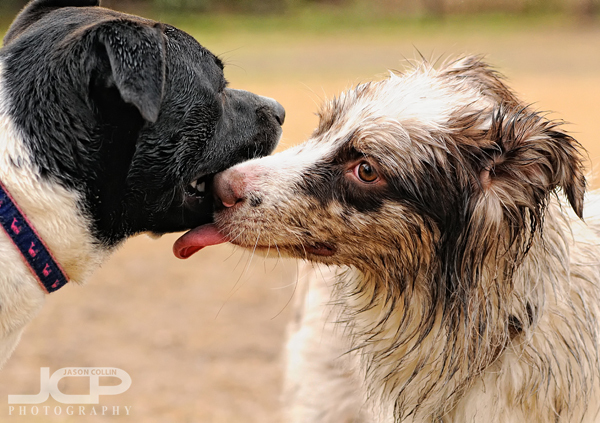 Last Sunday I found myself in several pet photography situations, all with dogs. 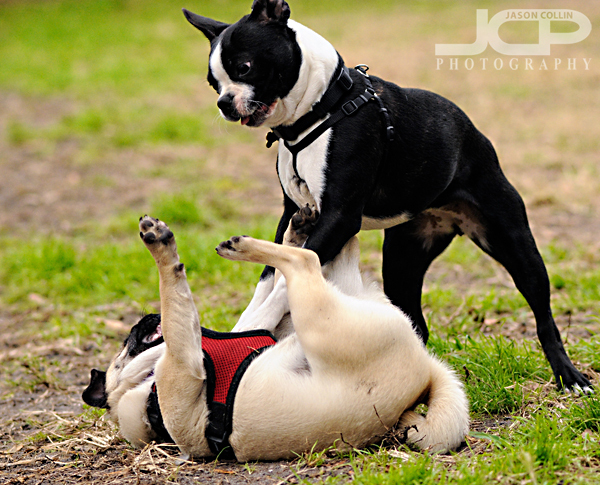 It got me to thinking, "what do dogs really think when they meet, play with, and wrestle with each other?" The above and the following is my attempt at reading their minds. 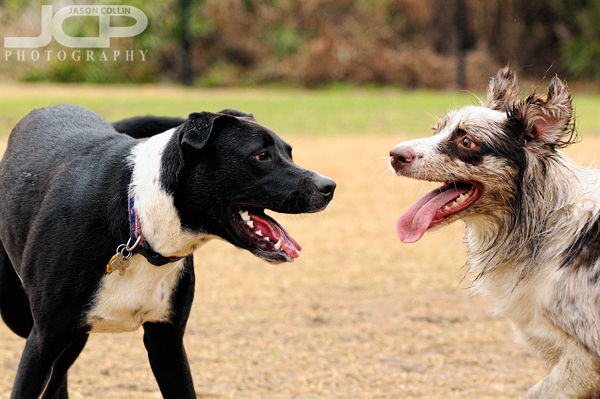 The black & white Border Collie mix, by the way, is my crazy puppy, Kiki. "I am not opposed at all to public displays of affection." 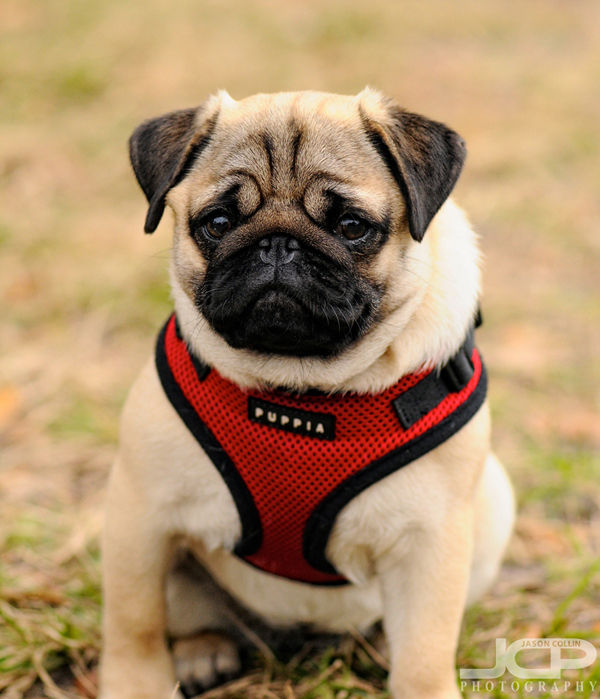 "Who in the world could ever pick on me, a cuddly 4-month old pug puppy?" Apparently dogs are immune to the cuddliness of their own kind and play rough with one and all! 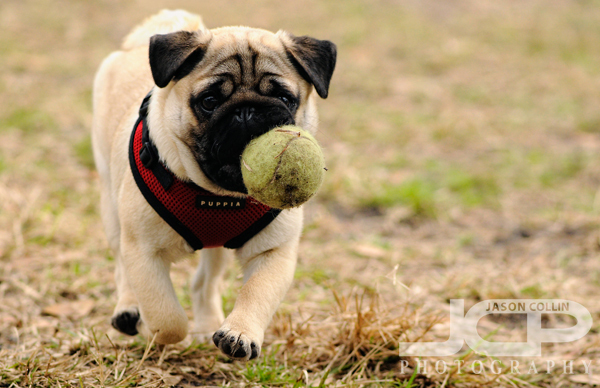 "If they will not play nice then I will just take my ball and go home!" 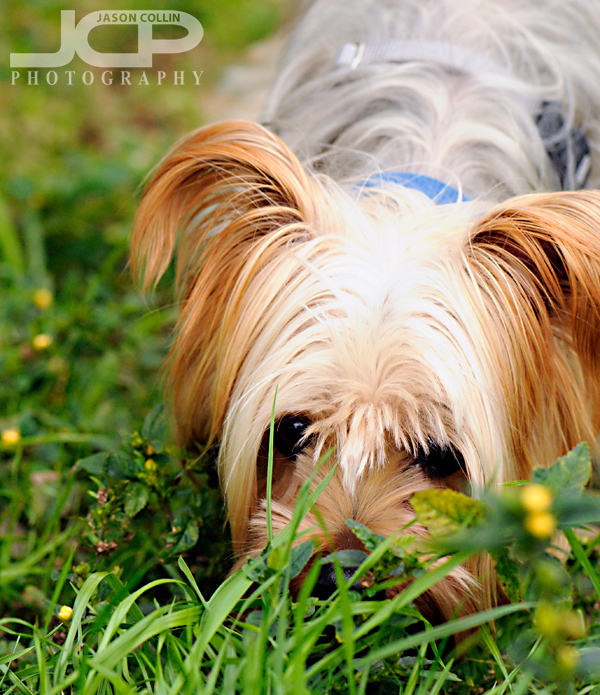 "Is a single blade of grass enough to hide me?" Please feel free to put in the comments below what you think these dogs might be thinking.